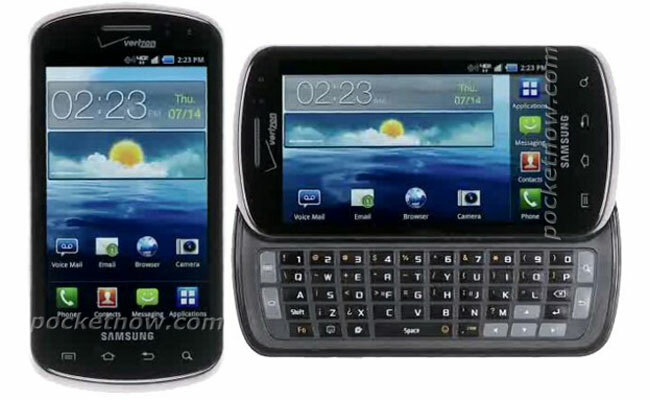 Another new smartphone headed to Verizon has been leaked, the new Samsung Stratosphere which is an LTE capable device, and it features a slide out QWERTY keyboard. According to the guys over at Pocket Now, the Samsung Stratosphere is expected to be officially announced on Verizon Wireless later this week, and it will features a five megapixel camera on the back and a 1.3 megapixel camera up front. It will also come with 2GB of built in storage, plus a microSD card slot, there are no details as yet on the display size and resolution, and also no details on the processor, as soon as we get some more information we will let you guys know.